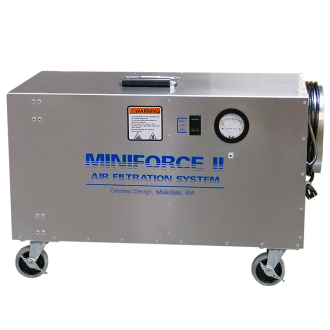 Depending on your environmental requirements, the MiniForce offers an assortment of options for pre- ilters, HEPA filters and accessories. 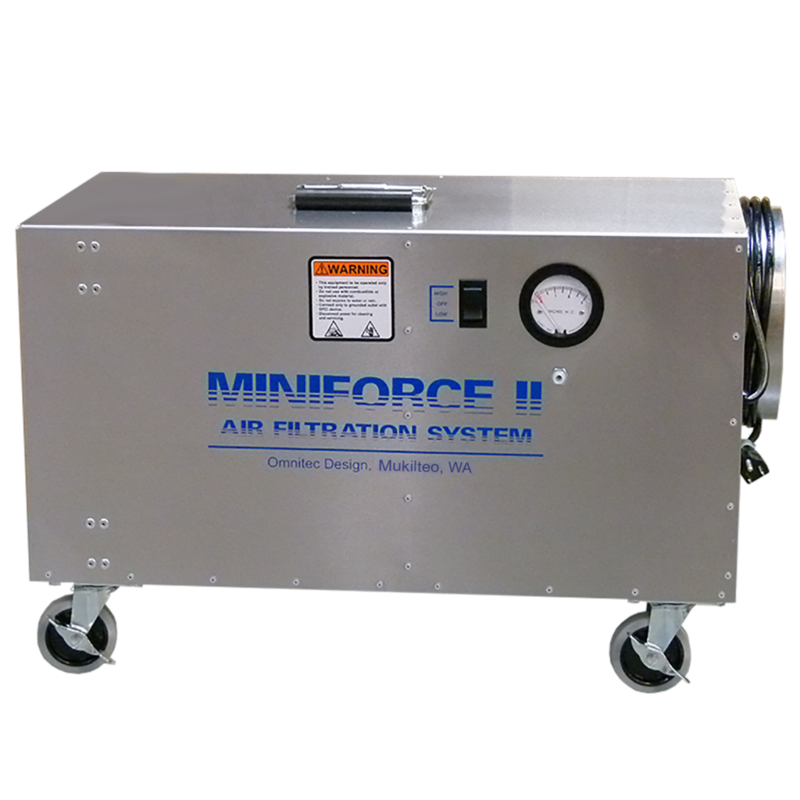 Our standard OmniAire MiniForce II ships with a Dustlok, primary/secondary filter and a 99.97% efficient HEPA filter. 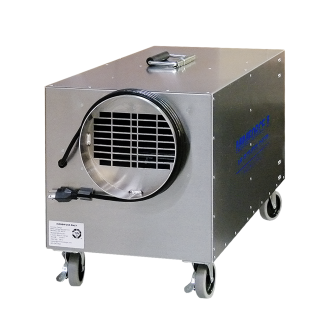 OdorGuard carbon filters provide effective control of odor, VOCs, or fumes. 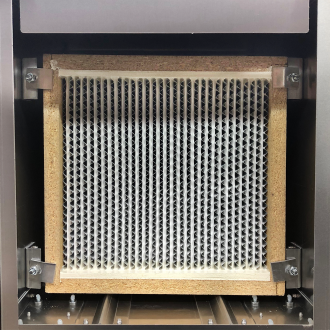 OdorGuard Filters can be installed in conjunction with HEPA or other final filter options for individual demand. OdorGuard 600 carbon filters for removal of chemical fumes and biological contaminants. 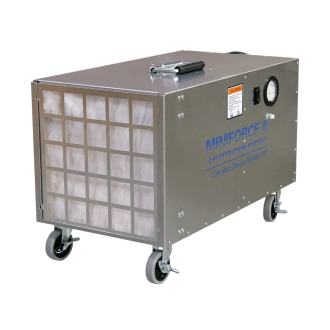 OmniAire equipment provides a cleaner and healthier environment in industrial facilities as well as abatement projects. For your safety, MF100C complies with OSHA, UL and CSA/IEC electrical safety requirements. Controls: Switch - LOW/OFF/HIGH, Pressure Gauge - 0" to 3"